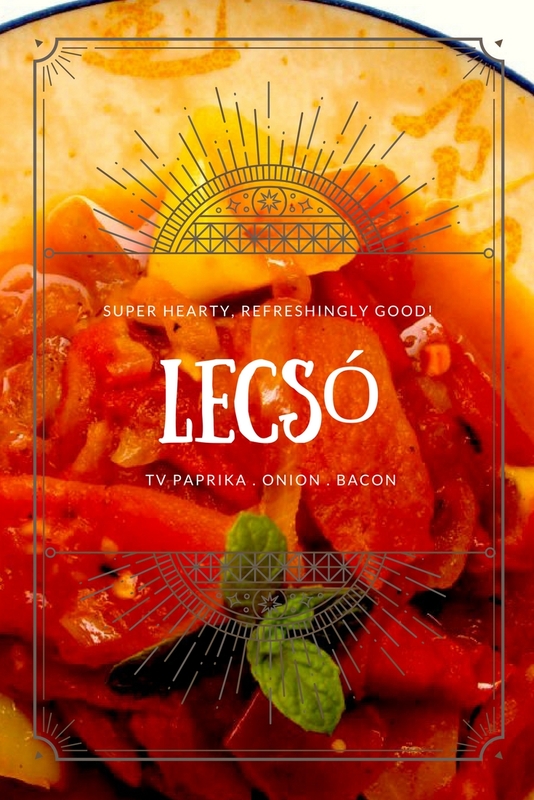 Hungarian Lecsó is a rather thick vegetable stew which consist mainly of Hungarian peppers (mainly sweet thin skin TV Paprika), tomatoes, onion, lard, salt, sugar and ground paprika. It is a very hearty dish and sometimes I like to eat it just with fresh bread. My mother-in-law has a very delicious recipe twist to it. She adds the green spicy chilli peppers (in Hungarian Erős Paprika) which gives it a super refreshing charge to the Vitamin C intake at once. 1. Heat the lard (I prefer smoked szalonna) in a large pot over medium-high flame. 2. Add the onions and sauté until translucent and starting to brown. 4. Remove from heat and stir in the paprika until well blended. 5. Reduce heat to medium-low and return the pot to the flame. 6. Stir in the peppers, tomatoes, salt and pepper. Simmer until the peppers are cooked through and soft. *Do not add water as the moisture from the fresh tomatoes and paprika will create the best texture. Adjust seasoning such as salt and pepper powder and serve. My mother-in-law made this just yesterday, except she throws in a couple eggs as well.